The Blues Train event begins at the historic town of Queenscliff. Patrons tuck into a hearty meal prepared by our Blues Train caterers. Drinks to take on the journey are available on the platform from the T-bar in the guard's van, open at each of the four stops. At each stop revellers swap carriages to find a new band tuning-up ready for the next act. One of the carriages only has seating running along each wall. The seating arrangement and up-beat music in this carriage leaves little option other than getting up for a bit of a boogie. But you don't have to dig the blues to enjoy the Blues Train, you just have to be open to a really good time. 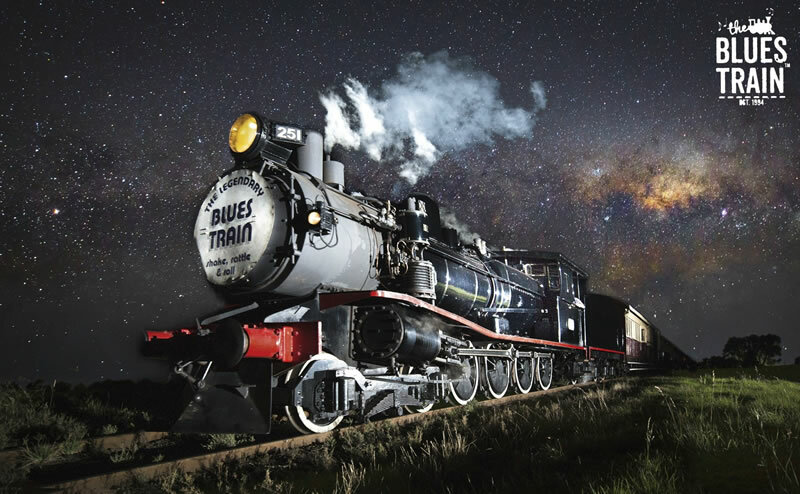 The Blues Train runs along the old Geelong train line, stopping in turn at Suma Park historic homestead and winery, and then at Drysdale before turning around and making its way back to Queenscliff, again via Suma Park. It departs from and returns to Queenscliff Railway Station. Time: The bar opens at 6.30 pm. The event begins at 7 pm sharp and ends at 11.30 pm when the train returns to Queenscliff Railway Station. Get tickets quick and many trains are booked out weeks in advance.